Choosing a theme for an engagement party can sometimes be tricky. Not for this couple, who were high school sweethearts! 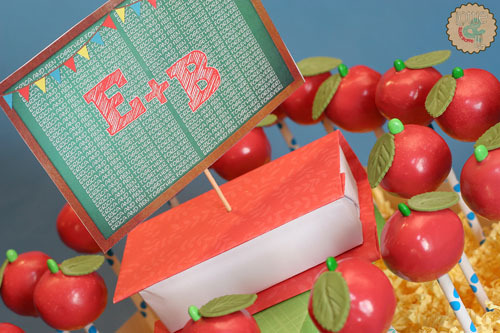 A school theme featuring apples, chalkboards and stacks of books was perfectly suited to them. 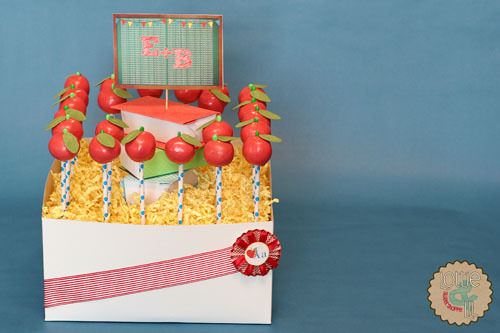 Of course custom apple cake pops elevated the theme along with their school inspired cake pop display. This entry was posted on Monday, August 27th, 2012 at 7:17 am	and is filed under Engagement Pops.